Take a minute to think about all the body care products you use daily. Now that you have them all in your mind, stop and think for a minute about the ingredients in those products. Do you even know what they are? What if you found out that many of the ingredients in common name-brand and even some “natural” body care products contain ingredients that are known to mimic estrogen in the body? Some are known carcinogens, linked to causing cancer. Would you still use these products if you knew the truth? Maybe, but what if you also knew there are products that contain a lot less, or none of the toxic ingredients? The fact is, healthier products are out there and many grocery stores are beginning to sell them. The average American uses 12 body care products per day. How many do you use? How many are major brand names? How many are organic? How many are labeled natural? How about organic? Check off how many you use daily. Now count that up. Now, reconsider what the labels on all those products say. How many toxins are you putting on your body each and every day? Some ingredients in body care products may cause estrogen dominance in the body. They do this by mimicking your natural hormones, known as endocrine disruption. Endocrine disruptors cause hormonal imbalance. Many fertility problems in women are linked to an overabundance of estrogen in the body, including early onset of puberty and menstruation in young girls, endometriosis, uterine fibroids, ovarian cysts, PCOS, breast cancer, irregular menstrual cycles, endometrial hyperplasia, and low progesterone levels. For men, it can be hormonal imbalance with testosterone, low sperm count, and poor sperm health. 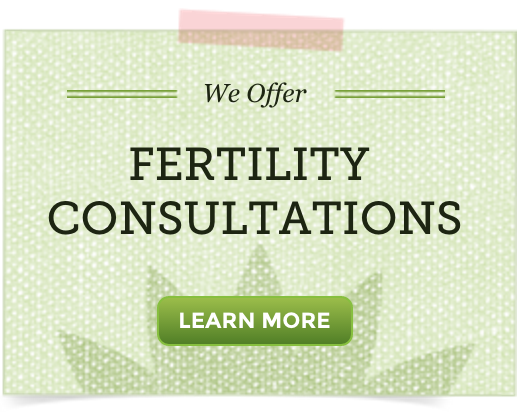 How do xenoestrogens cause fertility problems? Long-term use and exposure to xenoestrogens creates an overabundance of estrogens in the body. Xenoestrogens have the ability to bind to our estrogen receptor sites, disrupting the function of the endocrine system. Not only can they mimic our natural hormones, but they can block other hormones from binding to receptor sites. While the xenoestrogens are occupying the body, the body is still creating its own endogenous estrogen; this creates a situation in which too many estrogens are circulating in the body. Many of the excess estrogen is being stored in fat cells. This is confusing to the body, as it is not able to metabolize and excrete the overabundance of estrogen quick enough to the keep up with the rate of exposure. Parabens are commonly found in deodorant, shampoo, soap, toothpaste, lipstick, and many other products. Parabens are known xenoestrogens. Parabens are fat-soluble, which means that their estrogen mimicking is readily stored in the body, mainly body fat. Phthalates are used to plasticize products; mainly to be used as an emulsifying agent. Phthalates are in most liquid body care products, think lotion, liquid soap, perfume, hair products, etc. Phthalates have been linked to birth defects in the reproductive systems of boys. Low sperm motility in adult men has also been linked to this endocrine disruptor. According to the Environmental Working Group, three quarters of 72 products they tested contained phthalates, even though that ingredient wasn’t listed. 4-Methylbenzylidene known as 4-MBC is used in sunscreen lotions to help protect the body from UV rays; mainly UVB rays. This organic camphor derivative has been shown through studies to be an endocrine disruptor as a xenoestrogen. One study showed that when this chemical was applied to the skin of rats, in a base of olive oil, the rate of uterine growth doubled, even in female rats that had yet to begin puberty. “That was scary, because we used concentrations that are in the range allowed in sunscreens,” says Margaret Schlumpf from the Institute of Pharmacology and Toxicology at the University of Zurich, Switzerland. Schlumpf goes on to say, “Nobody knows if doses are high enough to create problems for people.” Yet, this shows there can be detrimental actions on our hormonal system. While these rats were exposed to the same amount a human would use, it gives rise to the question: What can happen to humans with long-term exposure due to regular use? This is quite scary for me personally; I have very fair skin and have used gallons of sunscreen through my lifetime. Only until about the last 10 years have I really tried to use more natural sunscreens. For years though, I have slathered this stuff on my body. I guarantee I am not alone. How much sunscreen have you used? Did you know most body care products contain petroleum by-products? While gas prices remain high in the United States, the cost of petroleum by-products to the cosmetics industry remain low. These chemicals are cheap and are widely used in commercial body care products. Ethoxylation is a process used to make products less harsh to the skin, but requires the use of Ethylene Oxide, which makes 1,4 Dioxane as a by-product. 1,4 Dioxane is known to cause cancer. This chemical is found in other ingredients listed on products, but will not be listed by name. It is found in polyethylene, polyethylene glycol, polyoxyethylene, oxynol, PEG, myreth, oleth, laureth, and ceteareth. Sodium laureth sulfate is the most well-known ingredient in products to contain 1,4 Dioxane. You might think that 1,4 Dioxane is not in “natural” body care products, but you are wrong. A study released in 2008 by the Organic Consumers Association showed that over 40 percent of products that claim they are “natural”, contains 1,4 Dioxane. The good news here is that all USDA-certified organic brands tested dioxane-free. A majority of lipstick contains lead. The Campaign for Safe Cosmetics found that 61 percent of name brand lipsticks contained lead in 0.03 to 0.65 parts per million. This seems relatively low, but that same study also showed that one-third of the lipsticks contained more lead than the USDA allows for candy, yet we often lick off and/or absorb most of the lipstick we wear. Basically, you may be accumulating unsafe amounts of lead over a lifetime of lipstick use. Lead may cause miscarriage and infertility in some cases. Pregnant women exposed to lead or with a high tissue concentration of lead may have this lead cross the placenta, which can cause developmental problems in the fetus. Antibacterial soaps, some toothpastes, and mouthwash brands contain the chemical triclosan. Triclosan is an antibacterial agent, which also inhibits growth of bacteria. It has been shown to be an endocrine disruptor in animals, causing hormonal imbalance and decreased gene activity. It has also been found in human breast milk, showing how deeply it is stored and absorbed into the female body. Other research has shown triclosan to increase the potency and impact of thyroid hormones, which may cause a cascade of endocrine and body system problems. More and more research is showing that antibacterial soaps do not protect you from infection, any more that good ‘ole regular soap hand washing does. So ditch the added chemicals and opt for a natural ingredient-derived soap instead. I have only listed some of the toxic ingredients in body care products; there are hundreds more. While these other toxins may not affect your fertility directly, they may contribute to asthma, cause cancer, skin irritation, cell death, nervous system disorders, and more. The human stomach has a long line of defense to help protect the body from toxic chemicals, so you are more likely to absorb toxins through your skin and/or inhalation, compared to ingesting toxins through the foods you eat. Just think, you have enzymes in your saliva and gastric juices to help break them down and remove them from the body. Each time you slather on a body care product, you run the risk of some of its ingredients possibly being absorbed via the skin into the bloodstream. Perfume is inhaled directly into the lungs, absorbed by the blood and then passed right to the heart to be pumped to the rest of the body. Women are at the greatest risk for toxin build-up, but why? Fat. The female body, by design, contains more fat than the male body. Body fat cells, called adipocytes, produce estrogen, and store excess estrogen and toxins. Estrogens are primary female reproductive messengers. Estrogen is essential for healthy bone formation, healthy gene expression, and maintaining healthy cholesterol levels, and is vital for a healthy menstrual cycle. Too much estrogens in the body due to xenoestrogens can cause estrogen dominance, which may contribute to fertility problems, including the development of PCOS, endometriosis, uterine fibroids, hormonal imbalances, and even estrogen responsive cancers. Estrogens are pro-inflammatory; excess estrogens can cause or make inflammatory conditions worse, including autoimmune diseases related to chronic inflammation. This includes autoimmune-related conditions like Hashimoto’s thyroiditis, lupus, rheumatoid arthritis, and even immunologically-induced recurrent miscarriage and some cases of premature ovarian failure. Chronic inflammation is associated with PCOS, endometriosis, adenomyosis, PID, and uterine fibroids as well. Studies have shown that during pregnancy and lactation, the mother uses up her fat stores and those toxins are directly passed on to her children through her fat-rich breast milk. Don’t get me wrong here; I still feel breastfeeding is best. I breastfed both my children for 2 years each. We need to wake up! These toxins are being directly passed on to our children. Other studies have come out recently showing that young girls are going through puberty at an increasingly younger age. Girls that are 7 and 8 years old are beginning to grow breasts and beginning to menstruate. Early onset of menstruation is linked to a variety of fertility issues, the main one being PCOS. The time is now to make the simple switch to natural body care products! When I say natural, you need to read labels! If you cannot pronounce the ingredients and know for sure the hard-to-pronounce name is not the Latin name of a plant, try to find another product that is better. If the product is certified organic, make sure it is at least 95 percent organic. Products that are nearly 100 percent organic are best. Natural ingredients should be listed first. If your products list all the most natural ingredients last, that means most of what makes up the product is not natural. If you choose products with fragrance, be sure it is scented with pure essential oils. Did you know that it is quite easy to make your own body care products at home? You can use coconut and almond oil as a moisturizer. Just add some of your favorite essential oils for a delightful scent and added benefits. A dab of some pure essential oil like lavender, chamomile, vetiver, or rose geranium can be used instead of perfume. Pure crystal salt can help prevent bacterial growth in your underarms, making it a natural deodorant. Peppermint essential oil and 100-proof vodka makes a great mouthwash. Last, cut down on the number of products you use each day. Do you really need all those products? Need some ideas on products? Our team is all about taking care of our health and the health of our families in the most natural way possible. Because of that, we all wanted to share some of our favorite natural body care products with you! Typically I just slather on Sweet Almond Oil with whatever essential oil I prefer that day. I love the scent of just one of the following: rose geranium, neroli, lavender, sandalwood, or clary sage. I always purchase local soaps made from natural ingredients. My family loves oatmeal cinnamon soap. Warm olive oil in a stainless steel pan over very low heat. Add in shaved beeswax. Allow to completely melt. Add in essential oils. Stir quickly with stainless steel spoon. Pour in sterilized tins, or glass jars. Makes approximately 30 .5 oz tins, or 10 1.5 oz tins. “I don’t like to leave the house without mascara… Zuii Organics is the brand I wear now. My fave shea butter splurge is Evan Healy’s Whipped Vanilla Patchouli Shea Butter… amazing! If you would like to know how safe your products are, check out the Environmental Working Group’s website Skin Deep Cosmetics Database. They have ratings on over 77,000 body care products. My daughter has started puberty a little early (age 9), and I’ve been doing some research on environmental factors that could be causing puberty. Many foods and personal care products have ingredients that mimic estrogen, but I’ve also read where lavender and tea tree essential oils mimic estrogen. We use essential oils frequently, and I’m afraid my “natural remedies” may be adding too much estrogen to her body. I am sorry this has worried you! It is my understanding that changes indicating puberty in girls can start as early as age 6 (minor changes) and that many pediatricians begin talking about said changes around this age. I simply can not think that your use, even regular use, of Lavendar or Tea Tree essential oils is impacting your daughter’s estrogen. Lavender and Tea Tree essential oils aren’t known to nourish the endocrine system (the body system responsible for the production of and coordination of the delivery of most hormones) and do not help the ovaries produce/make estrogen. If they mimic estrogen enough to impact hormonal balance in early puberty may not actually be known. All that said, I am not an Aromatherapist, so if you continue to be concerned do seek support from the National Association for Holistic Aromatherapy or consult an aromatherapist near you. It would be fine to also use/diffuse the oils 1/2 hour before your daughter in the room they are used in and to limit how often they are applied topically. But to be honest, I truly think they would have to be used excessively, which is not how they are suggested to be used, to impact hormonal balance. I hope this helps ease your worries about trying to do a good thing for your daughter/family! This is so scary how dangerous chemicals are and how companies want to make us sicker.They should be in jail for selling poison. I wish i was rich then i would buy all natural only. Consider searching for do-it-yourself recipes! There are so many blogs to teach you (and me) how to make so many lotions, soaps, etc. It’s amazing what I’ve found! Thanks for providing this very detailed research, I was finding of this from almost seven days, but I was not getting which can give me satisfaction, but it’s awesome !! I have not heard of the few drops one would add into a mixture with additional ingredients in a homemade toothpaste or mouthwash impacting hormonal balance or menstrual cycle length. I have read in brief about how peppermint essential oil may have hormone balancing effects actually (I don’t yet have all the facts, but this is promising). Thanks for an informative article! You’ve made me even happier that I make my own body-care products (for sale) and use them! 1. By FDA and Health Canada regulations we must print ingredients using their Latin names, which does make them unpronounceable! I know you sort of clarified that point, but I think it may be confusing! Some oils look pretty awful in Latin! 2. Red Raspberry seed oil is said to have a natural SPF of 50, so it makes a great substitute for sunscreen. Coconut oil is also a natural sunscreen. The two mixed are really excellent. A point in passing, using essential oils can have consequences, they are chemicals! They should be used with caution! Thank you for sharing your thoughts about Essential Oils and their safety. So happy this article has been helpful! I noticed this article does not mention natural substances that can mimic estrogen, such as Lavender. I started making my own deodorant until I noticed my endometriosis symptoms were getting worse. The only thing that I changed was how much Lavendar I was exposing my body to. I was using essential oils. I have sense learned that certain essential oils can mimic estrogen and cause devastating affects. Despite all the positive things I was doing (acupuncture, herbs, exercise, yoga), my body good no longer filter out the excess estrogen in my body. I now use citrus based oils only. Wish I knew about this danger sooner. Thank you for commenting! I am sorry for what you went through and I hope that you have been able to support the body in relearning balance. This article’s focus is on toxins, chemicals and xenohormones. Lavendar is not considered any of these and that is why it and other herbs and essential oils are not discussed in depth here. Plants by nature contain phytoestrogens which have the propensity to mimic estrogen in the body, but also provide great healing benefits and often a variety of nutrients. In general, to actually increase estrogen levels, phytoestrogens would need to be consumed/used in very large concentrated amounts (pure essential oils are quite concentrated) over a long period of time, which is not recommended. Most herbalists and natural healthcare practitioners would not use phytoestrogens in concentrated forms, especially if their patient has an estrogen dominant condition. Consider learning more about DIM if interested in supporting the body in reducing excess estrogen. All my best to you and again, thanks for sharing!